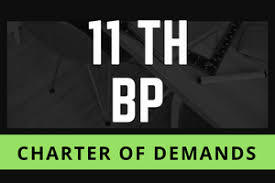 11th Bipartite Wage Revision Current Status - Recently Business Standard, a leading news paper has reported that Indian Bankers' Association (IBA) is almost rigid on their stand of Fixed plus variable pay structure for Public Sector Bank Employees. 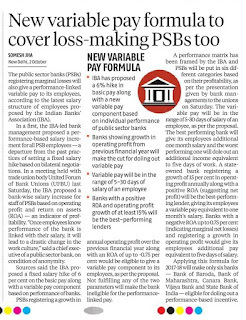 It is believed that government has directed the IBA to include loss making PSB's also for New Variable Pay. Banks with marginal losses will also give a performance linked variable pay to its employees. 1. 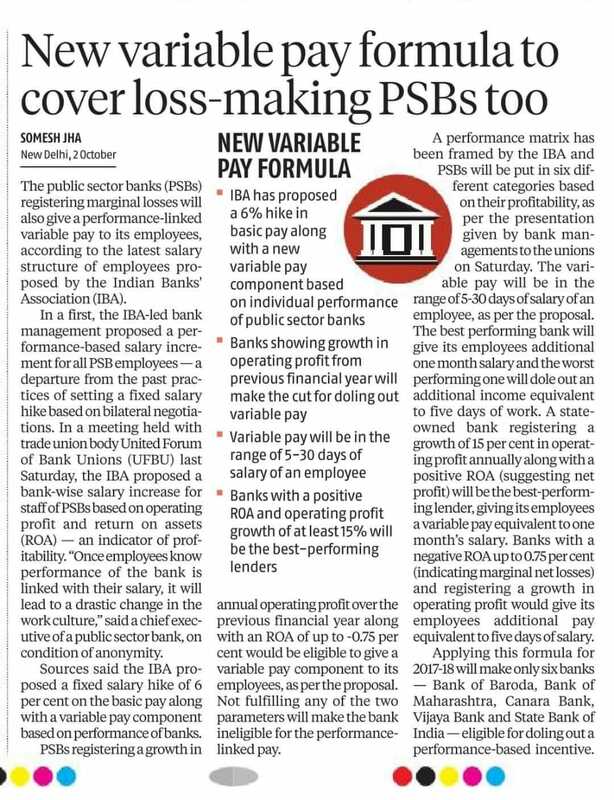 IBA has proposed a 8% hike in basic pay along with a new variable pay component based on individual performance of Public Sector Bank. 2. Bank showing growth in operating profit from previous year will make cut for dolling out variable pay. 3. Bank with ROA of (-)0.75 and below and operating profit of at least 15 % will be counted a sbest performing bank. 4. Variable pay will be paid for 5 to 30 days salary of an employee. Once employees know that the performance of the bank is linked with their salary, it will lead to a drastic change in the work culture. IBA has already offered a 8% fixed salary hike along with variable pay on performance of bank. PSB's registering a growth in annual operating profit over the previous financial year along with an Return on Assets (ROA) of up to (-) 0.75% would be eligible to give a variable pay. Not fullfilling any of the two parameters will make the bank ineligible for performance linked pay. A performance matrix has been already framed by IBA inconsultation with the Government and PSB's are put into six different categories based on defined metrices. The variable pay will be in the range of 5 to 30 days of salary of an employee. The Best performing bank will give its employee additional one month salary as variable pay on registering an increment operating profit of 15% along with positive RoA.